Bushfires in northern Australia were ongoing as of May 1, 2002. This image of the fires (red dots) detected by the Moderate-resolution Imaging Spectroradiometer (MODIS) on NASA’s Terra satellite was acquired on May 1, 2002. Please note that the high-resolution scene provided here is 500 meters per pixel. 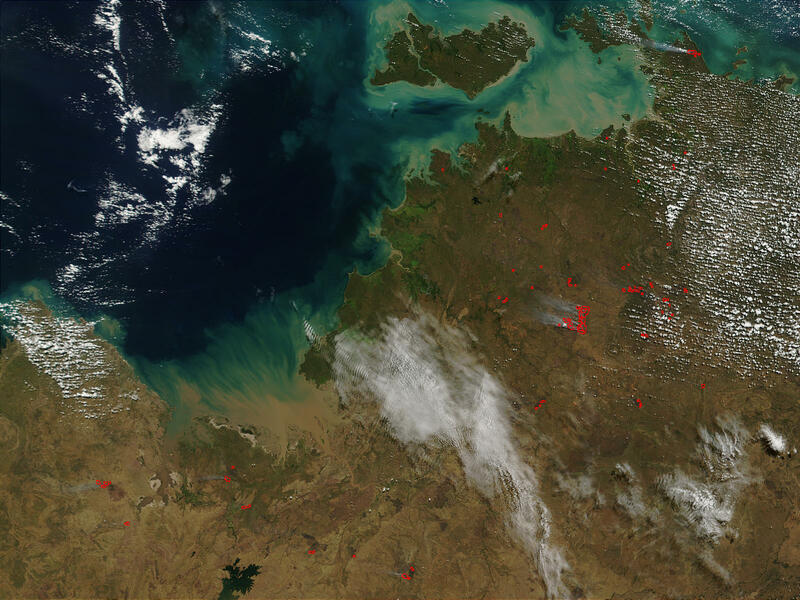 For a copy of this scene at the sensor's fullest resolution, visit the MODIS Rapidfire site.